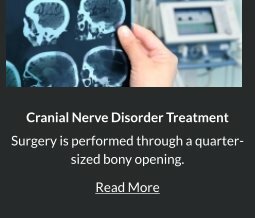 Orange County neurosurgeon Robert Louis, MD performs conventional craniotomy, a surgical procedure that temporarily removes a portion of the skull (bone flap) to access the brain underneath and treat conditions affecting the brain. This procedure is performed when a tumor is pushing on the brain, hemorrhage (bleeding) in the brain from stroke, aneurysm, vascular malformation or trauma. 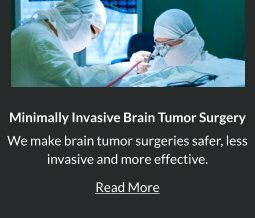 In addition, craniotomy is used to treat other neurological diseases, brain infection, injuries or skull fructures, aneurysm,arteriovenous malformation (AVM). The bone flap is usually replaced after the procedure with tiny plates and screws. 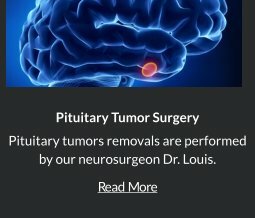 Conventional craniotomy requires a hospital stay that ranges from a few days to a few weeks depending on the complexity, condition and outcome. For conventional craniotomy, a special general anesthesia technique called neuroanesthesia is used. MRI, CT scans or stereotactic image guidance is sometimes used to navigate the brain and access the lesion or tumor inside the brain. The head is held steady with sterile pins for accurate cranial fixation, to prevent any intraoperative movement during microdissection, in a special operating room with tables that are used for head and body positioning. Duration of craniotomy averages two hours but may require several hours longer depending on the condition, complexity and size of lesion or tumor. The procedure may require for the hair to be partially or fully shaved before it is prepped with sterilizing soap and alcohol. Conventional craniotomy starts with an opening of the scalp and then the removal of portion of the skull with a power drill and saw. The bone flap is preserved and kept sterile in preparation for its replacement at the end of the procedure. Next, the lining of the brain (dura) is opened, followed by dissection of the brain. Brain tissue is held in position with a delicate mechanical retractor arm. The operating microscope is used to magnify the intracranial structures for more accurate microdissection. The lesion or tumor is removed with microdissecting instruments, such as ultrasonic micro-aspirator. The intraoperative MRI scan is sometimes needed to confirm the amount of lesion or tumor removal. To control bleeding, coagulation and hemostatic agents are used. After the completion of microdissection, the dura is sutured back in place and the bone flap is put back and held in place with plates and screws. This is followed by the closure of the scalp before bandages are applied around the scalp and head. Patients who undergo conventional craniotomy are moved to a post-anesthesia or recovery room for observation and then in the intensive care unit for a minimum of one to three days depending on the outcome. A post-operative CT scan of the brain is performed the morning after surgery to check for bleeding, swelling, or fluid retention in the brain. A postoperative angiogram may also be required. After ICU, the patient is observed in a regular hospital ward for two to five days. Physical therapy and occupational therapy may or may not be required after conventional craniotomy. Discharge home with adult supervision is recommended for the first two days up to a few weeks depending on the outcome of the procedure. Driving, activities and office work are resumed as instructed by attending physician and medical staff. While conventional craniotomy is now performed with the use of advance microdissecting instruments, it still comes with some risks as with other surgeries. Stroke, numbness, memory loss, paralysis, vision change, personality change or seizures are deemed potential complications. These are carefully evaluated, monitored and treated during the post-operative observation phase. While these conditions are oftentimes considered temporary, they could also be permanent. 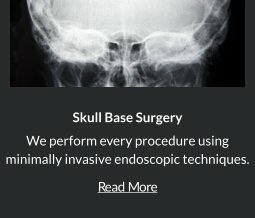 Death or permanent coma is a rare complication of modern conventional craniotomy techniques. 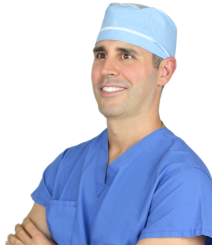 Orange County neurosurgeon Robert Louis, MD has the relevant experience, education and training in brain and skull base surgeries, including conventional craniotomy. For appointments, please call (949) 383-4185 or Contact Us.